Since cluing up the two bird & nature tours last month, I’ve been taking a bit of time to do some family stuff and make some progress on some contract work with the university. Not much birding. However, those tours did reawaken my interest in wildflowers – something I haven’t taken as seriously as birds in the past, but always found very interesting. I stole a couple hours earlier this week and went to a local hotspot for orchids, where I found seven species in various stages of bloom. So, here’s a whole post NOT devoted to birds. Instead, I’ll share a few photos of some orchids taken in Newfoundland over the past few summers. 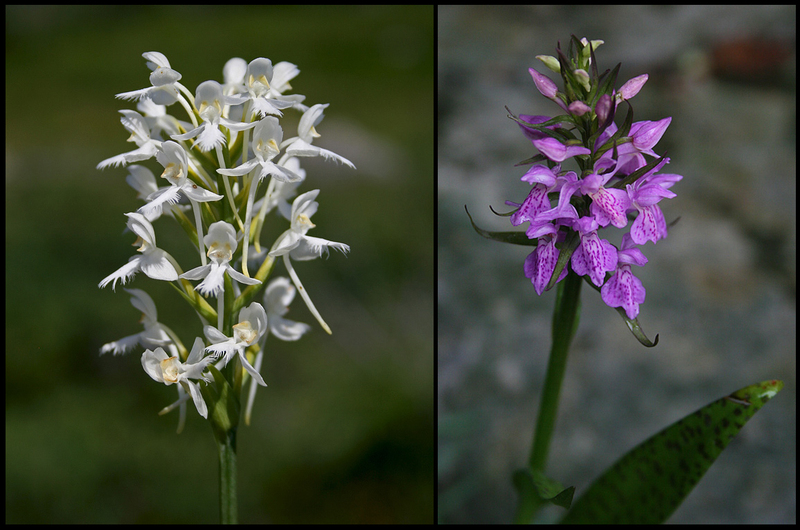 There are about three dozen species of orchids found across Newfoundland – some common, some very rare. I’ve included fourteen below, plus a hybrid. 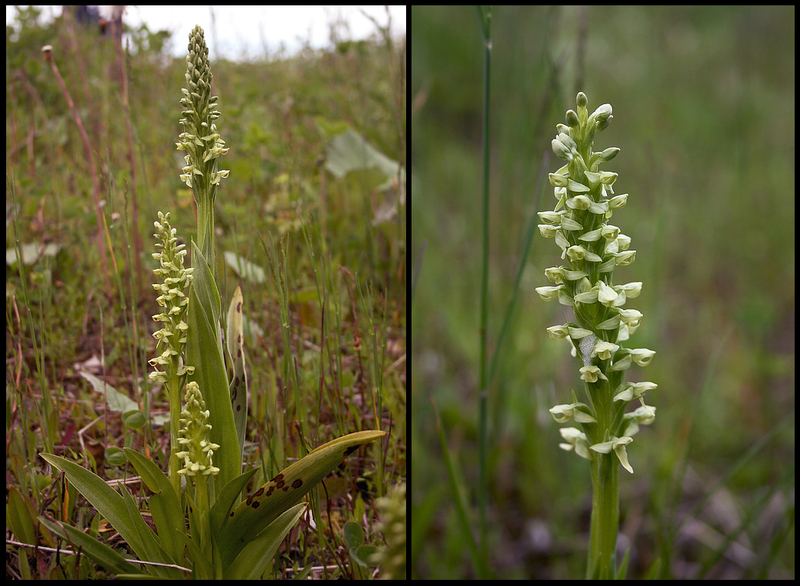 The Bog Candle (Platanthera dilatata; left) is a common white orchid that grows in bogs and wetlands across the island. 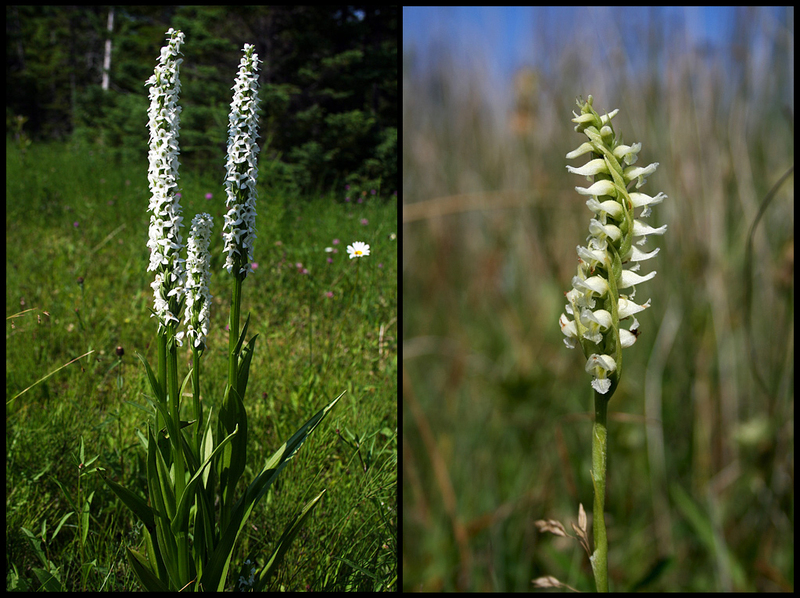 Hooded Lady’s-tresses (Spiranthes romanzoffiana; right) are unique among Newfoundland orchids due to their tight, spiraling flowers. It also exudes an almond-like aroma. Ragged Fringed Orchid (Platanthera lacera) is an uncommon orchid that occurs throughout much of Newfoundland. Its greenish-white flowers have a more ragged fringe than its relatives below. 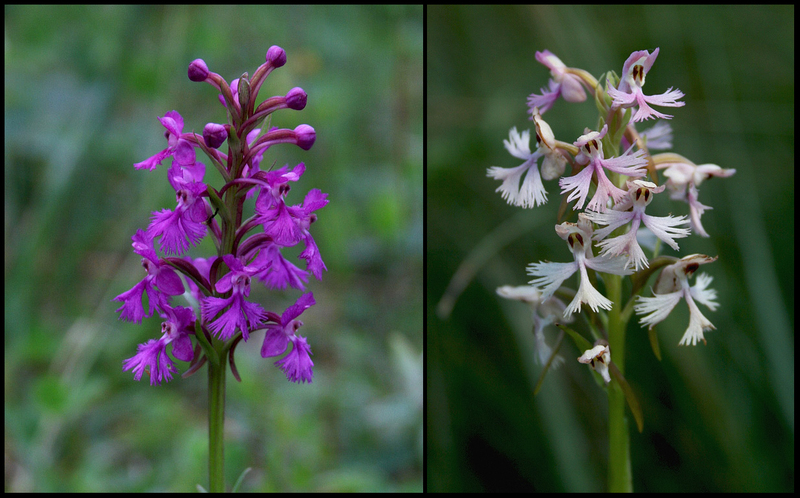 Purple Fringed Orchid (Platanthera psycodes; left) is a beautiful flower that grows in wet meadows and bogs. “Andrew’s Orchid” (Platanthera x andrewsii; right) is a stunning hybrid between Purple-fringed and Ragged Fringed Orchids. 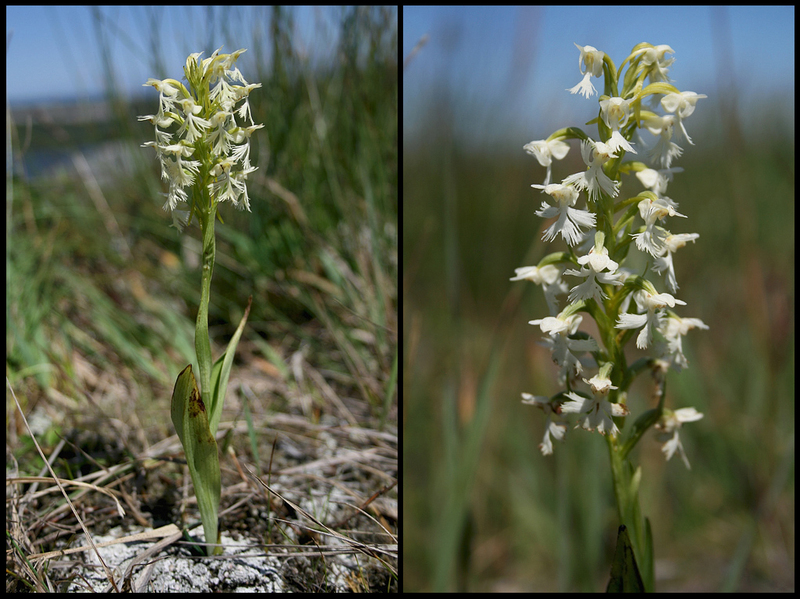 White Fringed Orchid (Platanthera blephariglottis; left) is locally common, while Marsh Leopard Orchid (Dactylorhiza majalis; right) is found only in a few select locations around St. John’s. 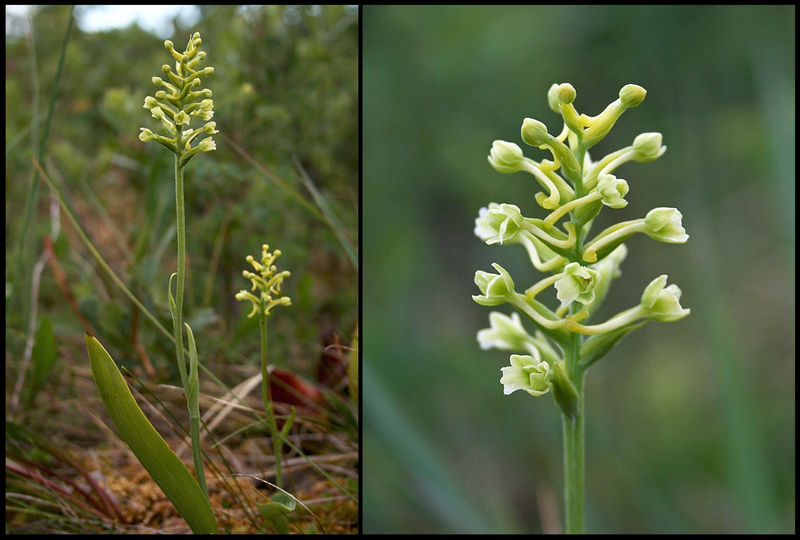 A small, understated flower, the Clubspur Orchid (Platanthera clavellata) is common across most of the island. 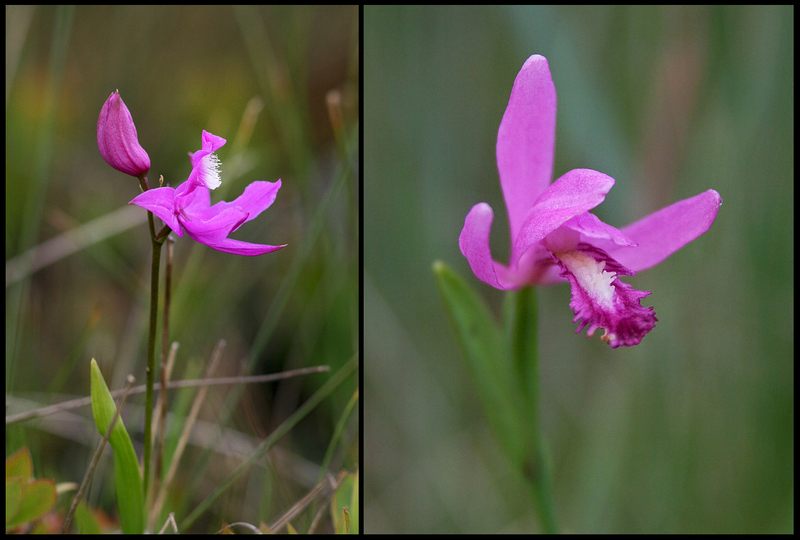 The beautiful Dragon’s Mouth Orchid (Arethusa bulbosa) occurs in a range of colours from the common pink form (left) to the much more uncommon white form (right). 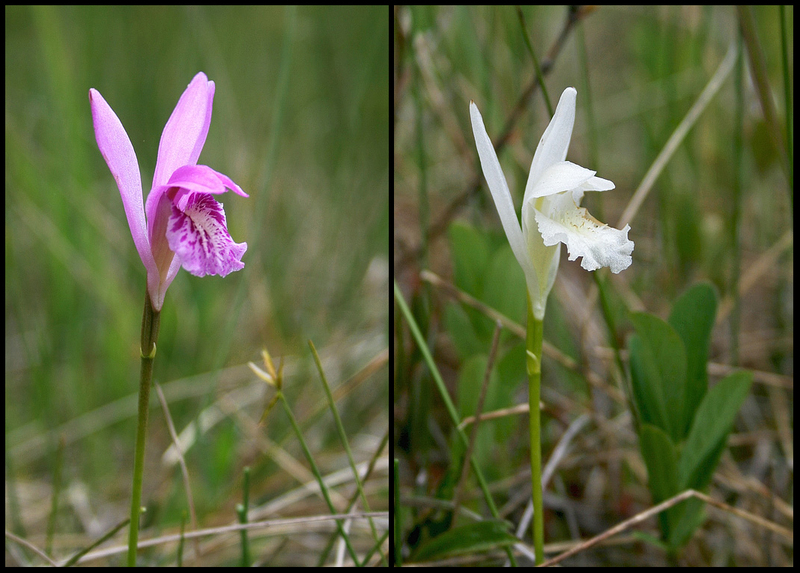 Both Grasspink (Calopogon tuberosus) and Rose Pogonia (Pogonia ophioglossoides) can be found across most of Newfoundland, though not typically on the Great Northern Peninsula. Pink Lady Slippers (Cypripedium acaule; right) are among the most well known orchids, growing among low shrubs, clearings and open woods across the island. 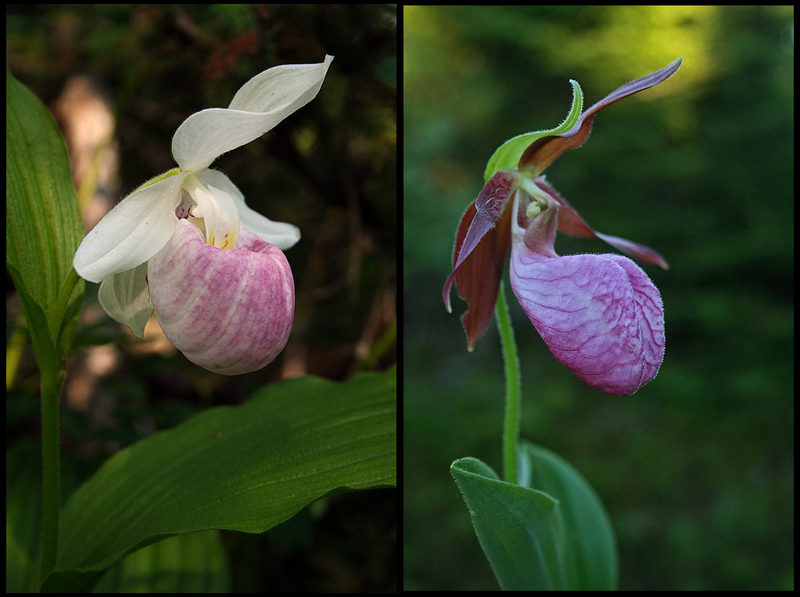 Showy Lady Slippers (Cypripedium reginae; left) is much less common, bordering on rare. This one was growing near Lomond in Gros Morne National Park. Tall Northern Green Orchid (Platanthera huronensis) is a locally common orchid on the Great Northern Peninsula. Its dense, greenish-white flowers grow in large spikes, making it quite noticeable where it occurs. 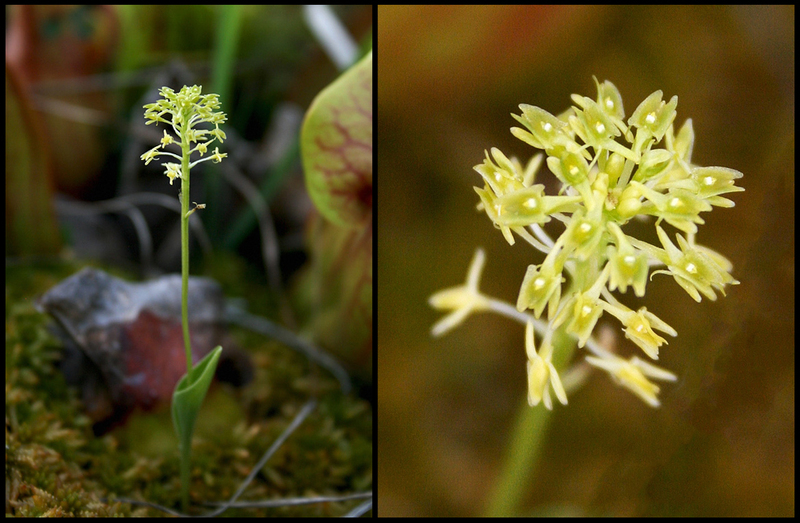 A very tiny orchid, Green Adder’s Mouth Orchid (Malaxia unifolia) is easily overlooked. It is relatively rare even where it occurs, including on the Avalon Peninsula where these were photographed. You can find more orchid and wildflower photos on my Flickr age. OK – I promise the next post will include some birds. Honest. This entry was posted in Uncategorized and tagged Newfoundland, orchids, wildflowers. Bookmark the permalink.